According to Wikipedia: “A commune … is an intentional community of people living together, sharing common interests, property, possessions, resources, and, in some communes, work and income and assets.” In the intentional communities world, a commune is generally seen as an income sharing community and this blog will focus on egalitarian income sharing communities, represented in North America by the Federation of Egalitarian Communities. 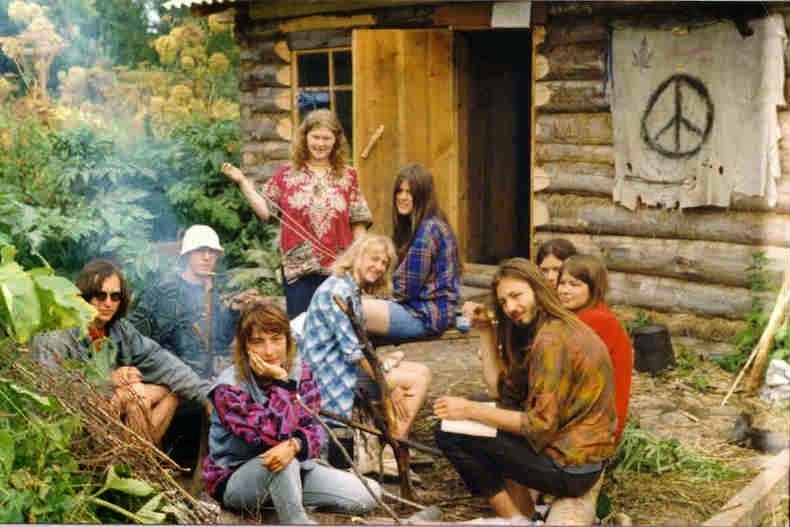 So why are communes (or more importantly, communal living) important? There are several important benefits to living in a community. The first is that sharing reduces your ecological impact and the more sharing you do (and communes do a lot of sharing! ), the more you reduce your carbon footprint, etc. We have done studies of different communities, including Twin Oaks that show radical resource sharing is the elusive fix to this vexing problem. Another often cited benefit of collective living is that it heals its members. People’s lives and interpersonal relationships improve through communal living. There is an important third reason as well. Living communally–and sharing so much–is a direct challenge to a hierarchical, consumer focused, corporate capitalist culture. In a society that demonstrates its valuing of one person over another by massive pay differences, income sharing says that your work and my work and everyone in the community’s work is equally valued. As we share more, we need less, and we often have more time to do important things, like building personal connections with each other and exploring our spirituality and connecting with nature–things that don’t have a price tag and don’t add to the gross national product, but make our lives richer and better. The purpose of this blog is to explore and promote these reasons and many others, large and small, to those who are interested in what people in community actually do. And, hopefully by demystifying it, more people will feel inspired to take the risk of trying it. The structure of the blog is that we will have a new, freshly written article every Monday on some aspect of communal living. On Wednesdays we will have photographic tours of communities and communal life–visual images of what it’s all about. And on Friday we will have articles taken from various blogs focusing on community, ‘historic’ posts, if you will, reprinted to add context to commune life. Really, communes are important, as far as I’m concerned because they are laboratories for social change, experiments to see what works and what doesn’t as we try to create a better world. please credit images and also host them yourself.